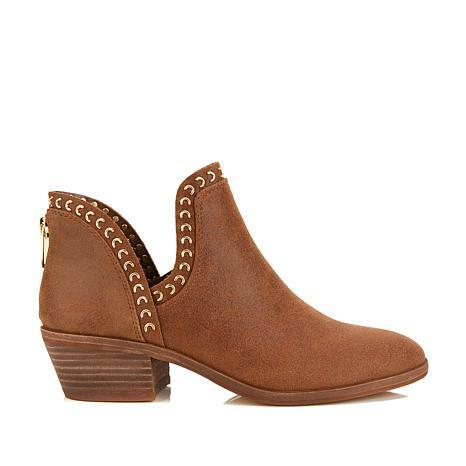 Exposed ankle booties are strolling onto the scene and turning heads. Do the same in the Prafinta, an eye-catching bootie with metallic hardware and a sinuous silhouette. Super cute. Fits true to size and comfortable!!! Love Love Love this shoe can't wait to get other colors. Pleasantly surprised at how comfortable these boots are. I ordered in grey because the brown leather was out of stock. Will keep a check for them to be back in stock. 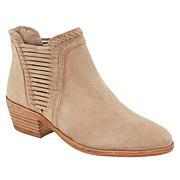 You won't be disappointed in the comfort of the booties and very stylish. Have received many compliments.